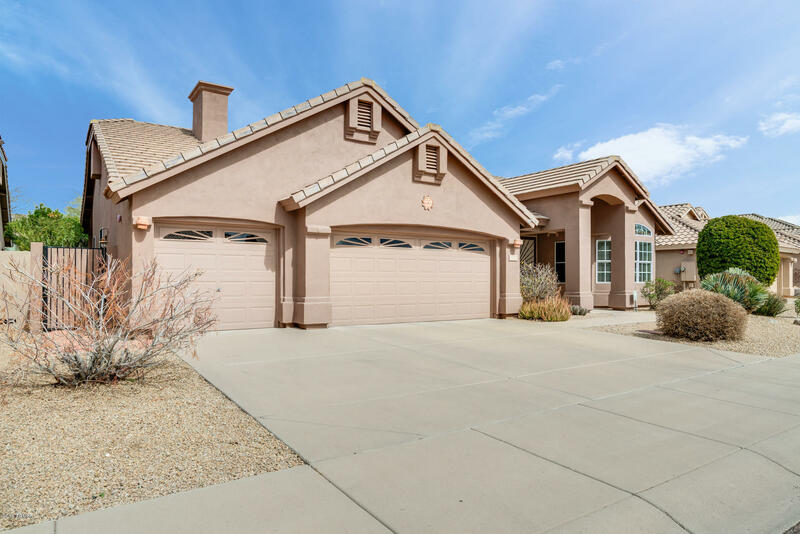 All Echo Ridge homes currently listed for sale in Scottsdale as of 04/23/2019 are shown below. You can change the search criteria at any time by pressing the 'Change Search' button below. "Buy this home and receive either a $25,000 remodel credit OR price reduction at close! SUPER CLEAN, BRIGHT AND WELL-MAINTAINED SINGLE LEVEL HOME IN BEAUTIFUL TROON NEIGHBORHOOD- ONE OF BEST LOCATIONS FOR THE PRICE IN NORTH SCOTTSDALE. SOARING CEILINGS, OPEN CONCEPT KITCHEN AND LIVING SPACE. ACS UPDATED IN 2014/2013. EXTERIOR REPAINTED IN 2015. PARTIAL INTERIOR REPAINT 2019. MOVE RIGHT IN, OR REMODEL TO YOUR TASTE! CHECK OUT THE KITCHEN REMODEL PHOTO. MOTIVATED SELLER- bring all offers!!" "New to the market! Tucked away in Echo Ridge at Troon North this 3 bed, 2 bath home is perfectly sized at just under 2500 SF. The kitchen overlooks a breakfast nook & an open-plan family room w/fireplace, built-in cabinets & shelves, plantation shutter window coverings, & exterior access. The light & bright formal dining & living room spaces flank the large entry & features vaulted ceilings. A separate office/den is a great flex space & continues the vaulted ceilings found throughout. The backya"